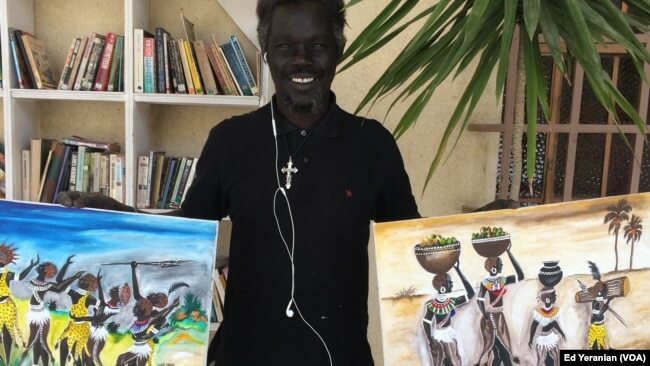 Santo Makoi poses in front of two of his recent paintings of village life in South Sudan. He says that he likes to show people what life is like back home. Santo, who is a gifted painter, studied fine arts at the University of Khartoum before north and south separated in 2011. This picture of village life in south Sudan is one of his favorites. 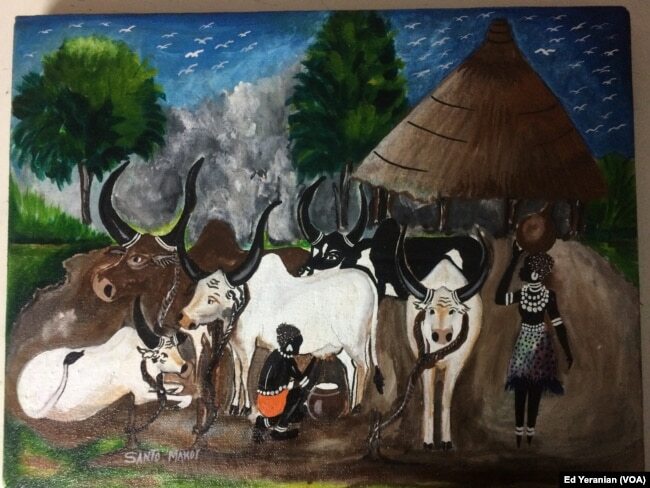 ​Santo tells VOA that he moved to Juba when the south became independent but "quickly fell afoul of the new authorities controlling the country because of his caricatures, drawings and cartoons of prominent people." Santo is registered as a refugee with the UN, but continues to paint and draw at a studio run by an Egyptian charity group.